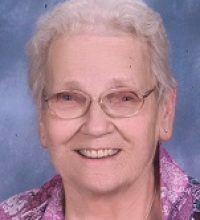 Anna M. Hanson, 89, passed away of natural causes Wednesday, January 30, 2019. She was born May 13, 1929 to Theodore and Dina (Lystad) Johnson in Duluth, Minnesota. Anna’s life revolved around her family and her church family at Elim Lutheran Church. 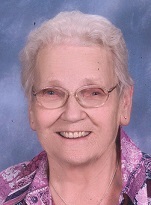 She worked as a housekeeper at Chris Jensen for many years. Anna was ‘Volunteer of the Year’ at Miller Dwan Surgical Center. Anna was dearly loved and will be sorely missed. She is preceded in death by; her parents; husband Chris Hanson; and brother Daniel Johnson. Anna is survived by; children Robert (Bobbie) Hanson, Leroy (Kathy) Hanson, Dyanne Zajic, Bruce Hanson, Earl Hanson, Bonnie (Harry) Mallon; seven grandchildren; ten great-grandchildren; two great-great grandchildren; four sister-in-laws; extended family and friends. Special ‘Thank You’ to Crystal at St. Croix Hospice for her excellent care.